Chaos hit the country shortly after election officials declared on Wednesday that incumbent President Ali Bongo had won the presidential race. 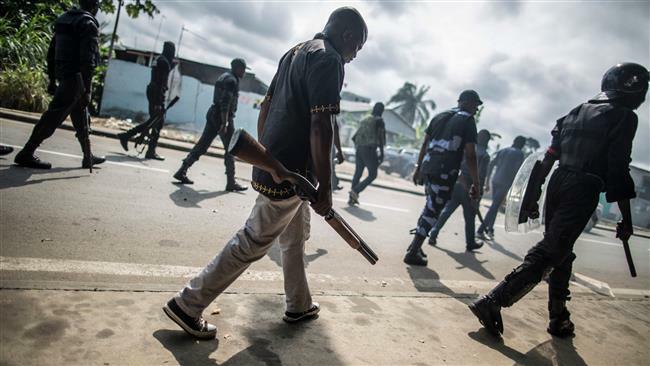 Media agencies, citing witnesses and a police source, reported public disobedience in at least nine different suburbs of Libreville attributed to opposition forces. Supporters of opposition leader Jean Ping set fire to the National Assembly while chanting “Ali must go.” Security forces also raided the opposition headquarters in the capital, injuring several people there. The opposition leader said two people had been killed and 19 others were injured in the police crackdown. Ping has called the election fraudulent, arguing that he is the true winner of the presidential contest. Meanwhile, United Nations Secretary General Ban Ki-moon has called on the nation to be calm. The European Union and Western countries, including the US and France, have also urged calm and called on authorities in the former French colony to show more transparency about the election results. Out of a total of 627,805 votes, Bongo gained 49.80 percent of Saturday’s vote against 48.23 percent for Ping. Bongo, who came to power in 2009, will now remain at the helm for a second 7-year term if the results are approved by the country’s constitutional court. 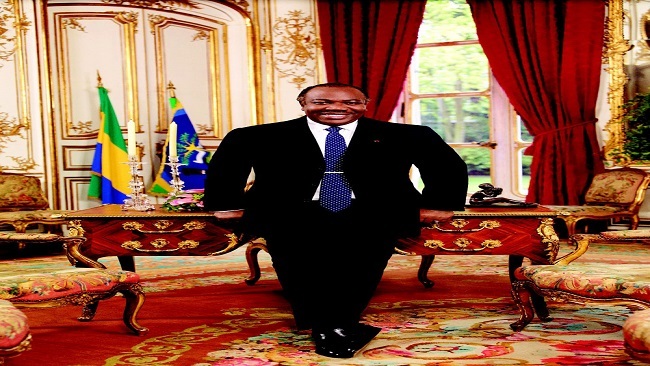 Ali Bongo, 57, succeeded his father Omar Bongo who had come to power in 1967 and passed away in 2009. 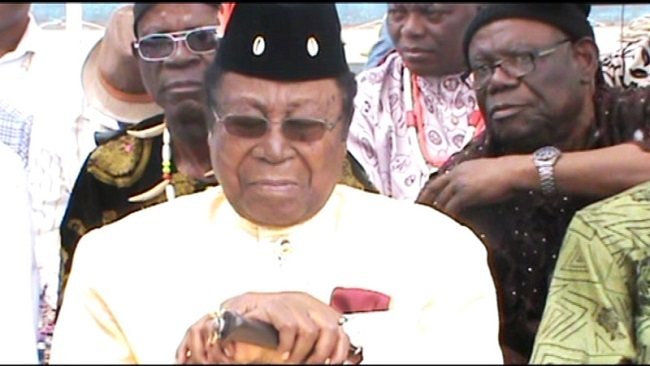 Ping, who is 73, had been a close ally of Omar Bongo. 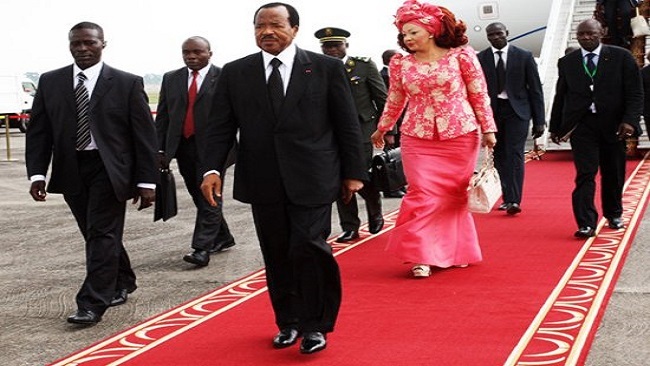 President Biya has recently been multiplying his long private stays out of the country. 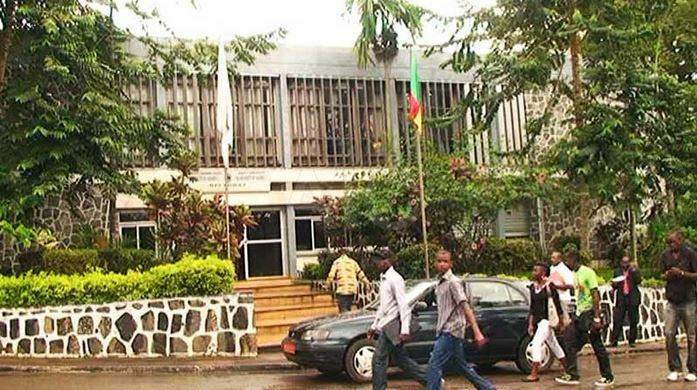 In just three months, the Cameroonian chief executive has travelled out of the country twice in what is often described by the state radio and television as “un bref sejour en Europe”. The reason for these numerous private- long- stay trips are never mentioned to the Cameroonian people. On 24 August 2016, Mr Biya and some close associates of his Francophone Beti-Ewondo regime left Cameroon for Switzerland. The previous visit dates back to May 27, 2016. On June 25th, the Cameroonian dictator returned to the capital city Yaoundé, and he left again on Friday, May 27, 2016. What is behind the private foreign travels of the head of state? No official reason has ever been advanced by the so called CPDM authorities for Biya’s continued long private stays in Europe. 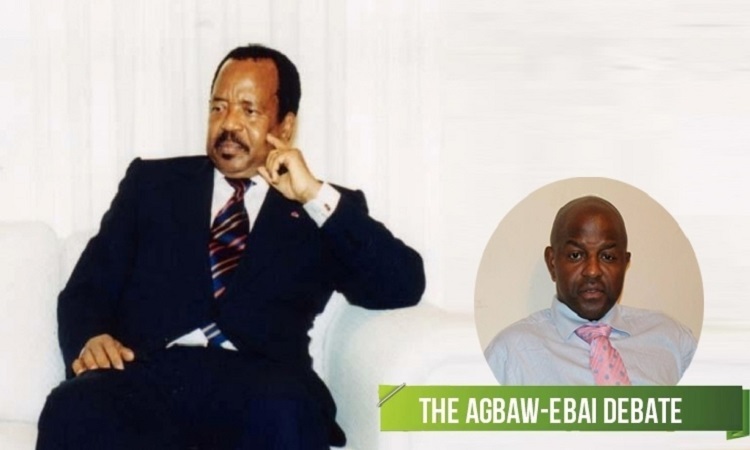 However, information provided by some flippant sources at the presidency of the republic, hinted that President Biya, journeyed to Swiss recently to meet his family. The Cameroonian first lady in fact left Cameroon on May the 9th 2016 and has not returned ever since. The children of the presidential couple we gathered are all with their mother. 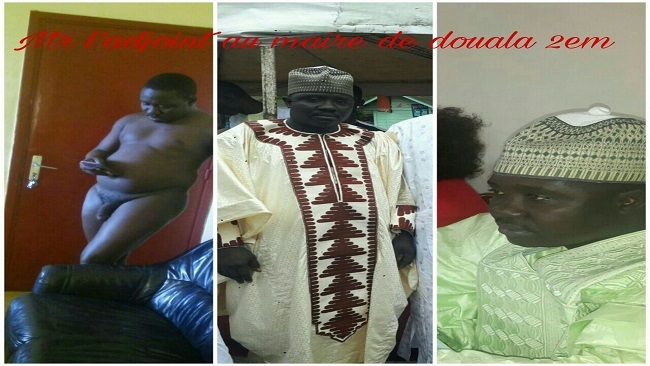 Some have opined that the 83 year old who has governed Cameroon for almost 34 years should retire before 2018. Over 2,000 Nigerians have taken part in a protest rally calling for the release of prominent Shia Muslim cleric Sheikh Ibrahim Zakzaky. The protesters gathered on Wednesday in the capital Abuja and marched from the National Mosque to the Federal Secretariat chanting slogans in support of Zakzaky’s release and condemning his illegal detention, which has lasted for nearly nine months. 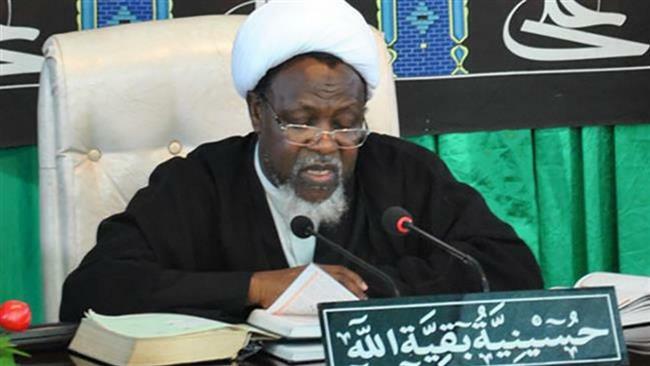 “We are calling for them to release Zakzaky immediately without any conditions attached and for them to pay for” the destruction they brought upon the Islamic Movement in Nigeria, Muhammad Ibrahim Gamawa, a member of the movement said. On December 13, Nigerian forces raided the house of Sheikh Zakzaky, the leader of the Islamic Movement of Nigeria, and arrested him after killing those attempting to protect him, including one of the movement’s senior leaders and its spokesman. The raid occurred a day after Nigerian soldiers attacked Shia Muslims attending a ceremony at a religious center in the city of Zaria, accusing them of blocking the convoy of the army’s chief of staff and attempting to assassinate him. 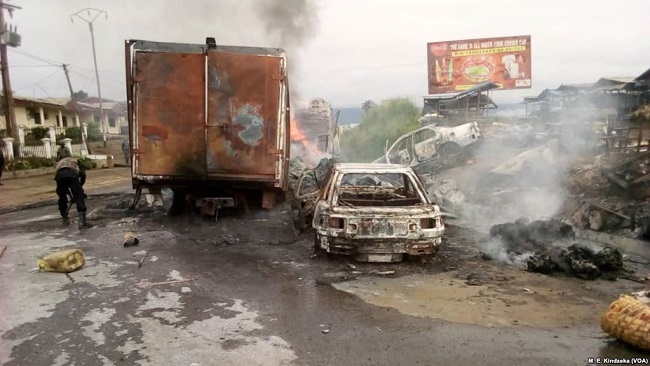 On August 1, the Islamic Human Rights Commission released a report, saying the Nigerian army killed 348 Shia Muslims during the attack on the religious ceremony. The Sheikh himself, who was shot seven times during the attacks and blinded in one eye, still remains in army custody with no charges filed against him. Despite a Nigerian law which requires that charges be brought in court within 24 hours of an arrest, Nigerian President Muhammadu Buhari refuses to order Zakzaky’s release. 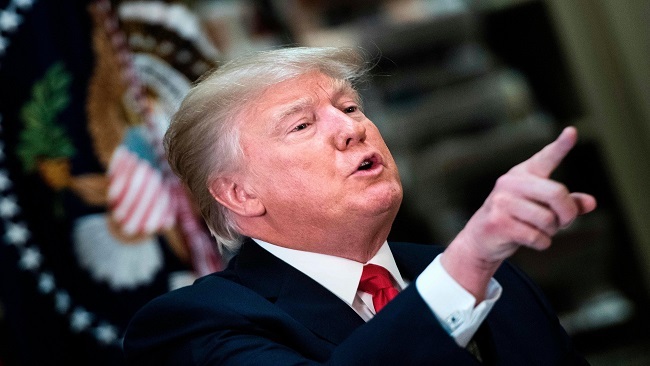 Trump has repeatedly pledged to build a wall along the Southern border to prevent more Mexicans from entering the US illegally, and has promised to force Mexico to cover the cost of the construction of his proposed wall. 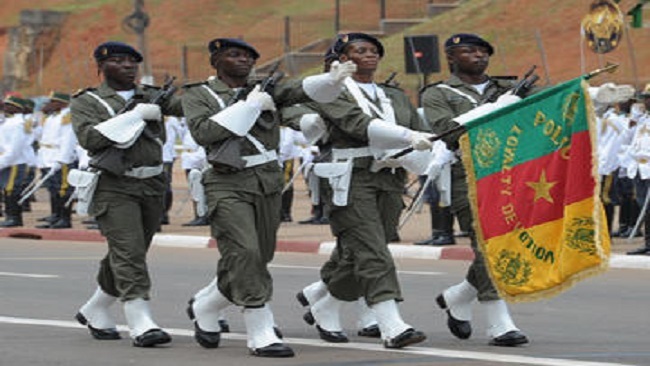 Two new ambassadors accredited to Cameroon have presented the advanced copies of their letters of credence to the Minister of External Relations in Yaounde. The first was the Ambassador of the Kingdom of Belgium to Cameroon 43 year old Stephane Doppagne. Before his appointment he was the Consul General of Belgium to Lumumbashi in the Democratic Republic of Congo. The second was the ambassador of Angola to Cameroon, Chad and Gabon – Toko Djakenga Serao who is resident in Libreville-Gabon. 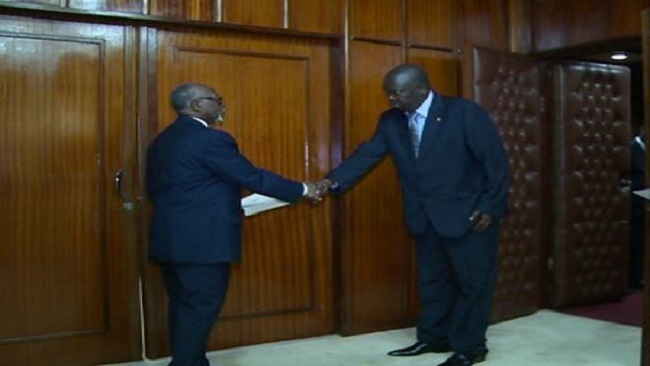 Several members of Gabon’s election commission, known as Cenap, say the supervising body has approved the victory of incumbent President Ali Bongo over challenger Jean Ping. Cenap officials said on Wednesday that the vote count that had been disputed by delegates from Ping’s camp was approved after a secret ballot by members of the election commission. One delegate to the commission said “the opposition abstained” from its claims. He would not elaborate. There was no official comment from Ping or his supporters. 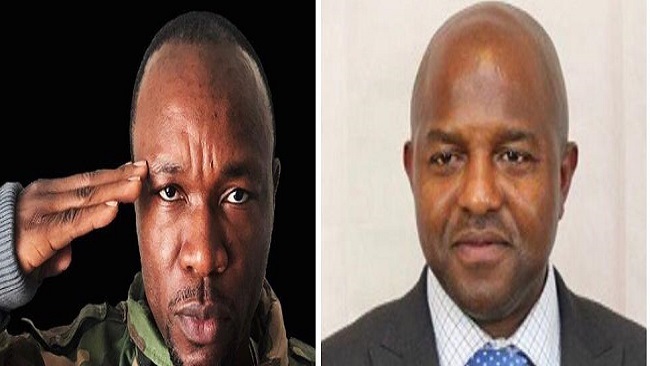 Earlier reports in the media said Bongo had won 49.9 percent of the votes nationwide, narrowly defeating Ping’s 48.2 percent, or a tiny margin of only 5,594 votes. The main bone of contention was the result in the Haut-Ogooue, one of Gabon’s nine provinces and the main base of support for Bongo. According to initial estimates, Bongo had won 95.5 percent of the votes in the province, with a turnout of 99.9 percent. Ping, a 73-year-old career diplomat well-known on the international scene, claimed victory right after the votes closed on August 27. “I have been elected. I am waiting for the outgoing president to call to congratulate me,” Ping said, adding, “As I speak, the trends show we have won.” He had accused Bongo’s camp of fraud and cheating, saying they were trying to create instability in Gabon by raising baseless allegations against their rival camp. Bongo, 57, has been in power since disputed elections in 2009. The tiny Central African country, which is rich in oil, had been ruled by Bongo’s father, Omar, for more than four decades. Gabon’s interior minister was expected to give a nationwide television address to officially endorse Bongo’s re-election. 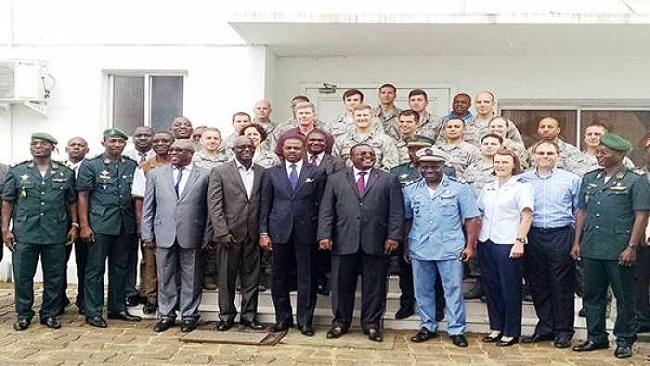 Telecommunications, logistics and civil engineering experts from the United Nations Navy in conjunction with African Union, Cameroons Ministry of Defense and the Civil Aviation Authority have ended an evaluation mission in Douala to set up a continental logistics base for the African Union Standby Force (ASF). After visiting the sites of the potential continental logistics base including the Douala port terminal, the Military Engineering as well as the Air Force bases, the delegation leader of the 22-man US Navy, Colonel Leslie Maher disclosed the sites are conducive. “The sites have adequate space, major roadways and have proven that they will be very conducive to communication,” she poised. Since some reasonable installations are visible in all the sites, it will be advantageous for African Union to setup the continental logistics base that will serve Cameroon and other member countries in times of crisis. The just ended five-day evaluation mission saw the signing of the technical assessment report by the US Navy Delegation Head, the African Union Representative, Civil Aviation Authority and the Cameroon Defense Ministry represented by the Governor of Littoral. 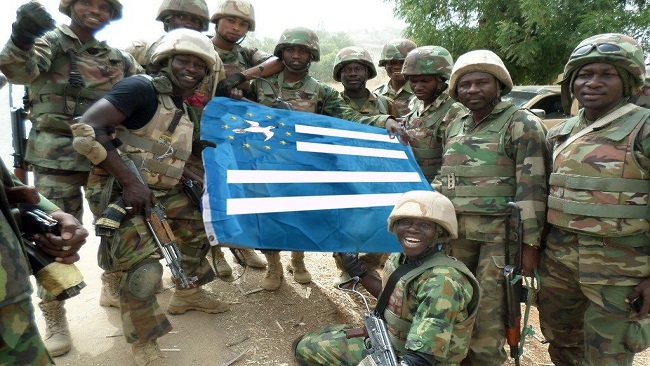 The report according to Colonel Leslie Maher will be transmitted to the African Union for approval. 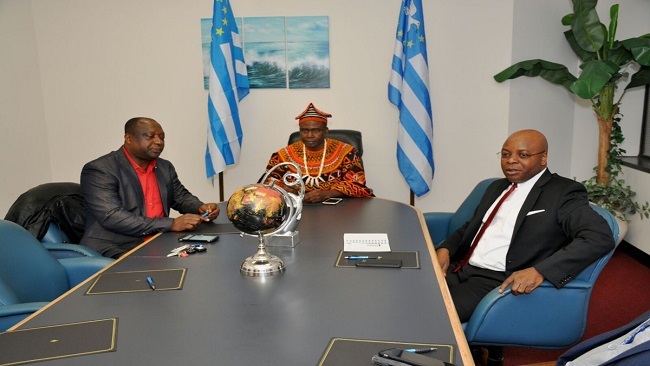 Before the report signing, Littoral’s Governor, Samuel Dieudonné Ivaha Diboua, prayed the forwarded report be favorable, saluted the evaluation mission and noted that the imminent logistic base will be a relief to member countries facing security challenges. 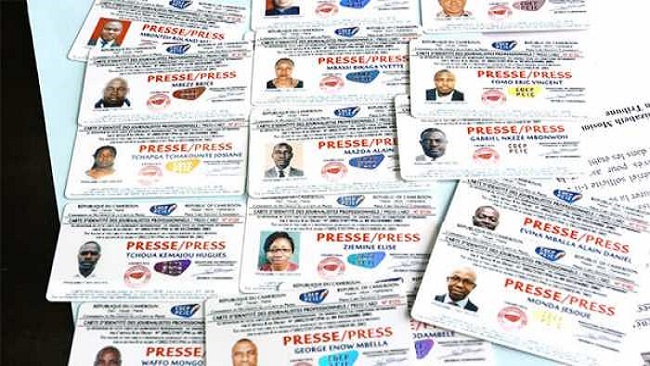 Since the official publication of Press Card by the National Press Card Commission in Cameroon, information indicates that 394 Press Cards have been produced and currently being distributed to the various journalists. Among the 394 Press Cards available more than 250 had already been distributed. According to the Permanent Secretary of the National Press Card Commission, Nana Soh Pascaline, from all the applications for a Press Cards, 469 were accepted upon reservation because the files of the individuals were not completed. According to Nana Pascaline such files lacked one or more documents needed as requirements for applicants to submit in a bid to acquire a Press Card. The Permanent Secretary explained that when such people complete conditions necessary to obtain a Press Card, the commission takes at least a week to produce one. Although there is no deadline for applicants to complete their files, Nana Pascaline stressed that those who are still applying for the document are urged to do so as soon as possible so as to obtain the card. It was also revealed that some 94 requests for Press Cards were rejected by the commission. Information from the Press Card Commission indicates that such applicants are still called to re-apply following basic requirement as the commission will still re-examine their files during the next session which will take place as soon as the commission receives a considerable number of files from applicants. It should be recalled that the Press Card Commission is not out to punish individuals but to ensure that there is order and professionalism in the media landscape in the country. The French leader further said the crisis in Ukraine changed the relations between Russia and Europe and caused damage to both sides. 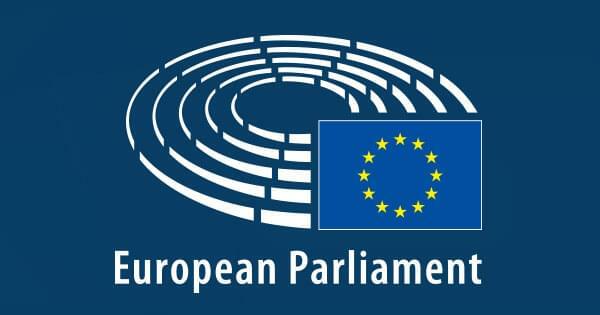 “The effects of the Ukraine crisis have to end in relation to Russia and the members of Europe. This situation is, to me, highly damaging because it comes with a high cost for those and other [actors], all actors,” said Hollande. He added that the removal of the sanctions is “in all of our interests to get out as fast and in the best way possible, of this type of relation.” “This has a high price and complicates the dialogue,” the president stressed. 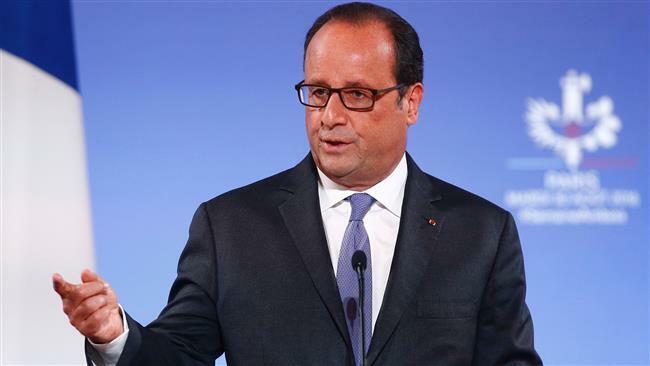 Hollande made the comments a day after German Chancellor Angela Merkel said she had “the very greatest interest in stopping sanctions” against the Kremlin. The Delegate General for National Security, Martin Mbarga Nguélé has dismissed 8 new police recruits undergoing training at the Police Training Centre in Mutegene for falsifying documents. The decision was made public via a press release signed on Saturday 27th August 2016. Two other students of the police academy were also sent parking from the training on the 3rd of August 2016 for unruly behaviour. A similar act was reported on 18th August 2016 when an Inspector of Police was fired from the school in relation to indiscipline. According to the patron of the police force, the fake documents of these eight trainees were uncovered thanks to a commission put in place to review the status of each trainee and ensure order at the training centre. The elements excluded from the police force were admitted after a competitive entrance exam launched on 18th April 2015 to recruit 3000 police officers and reinforce peace in the country.